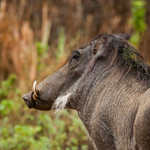 Abstract: Maintenance of the diversity of primates depends not only on the conservation of protected areas, but also on the conservation of areas that lack formal protection and are occupied by people, crops, and/or livestock. Livestock rangelands, when well-managed, can support viable populations of primates. This article describes (1) the primate community in the rangeland agroecosystem of Laikipia County, central Kenya, (2) how primates use this agroecosystem, (3) the importance of this agroecosystem to the primates of Laikipia, and (4) the threats to these primates. Patas monkeys Erythrocebus patas, olive baboons Papio anubis, vervet monkeys Chlorocebus pygerythrus, and northern lesser galagos Galago senegalensis in the Laikipia rangeland agroecosystem benefit from man-made perennial water sources, habitat protection, reduced large predator densities, and an array of research and conservation activities. The level of conflict between humans and non-human primates in this rangeland agroecosystem islow relative to that in neighboring cropland agroecosystems. The main threats are habitat fragmentation, degradation and loss, and the decline of perennial water sources. Hunting is not a serious threat to primates in Laikipia. 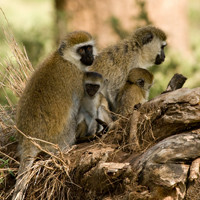 Erythrocebus patas is the mostthreatened primate in Laikipia and the one least tolerant of humans and habitat degradation and loss. Habitat conservation in Laikipia should focus on water-associated vegetation types and the adjacent whistling thorn Acacia drepanolobium woodlands, particularly along the Ewaso N’yiro River and its major tributaries. 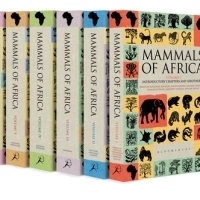 Read the full publication here…..
‘Mammals of Africa (MoA), by Jonathan Kingdon, David Happold, Thomas Butynski (Director of the Lolldaiga Hills Research Programme), Michael Hoffmann, Meredith Happold, Jan Kalina, is a series of six volumes which describes, in detail, every currently recognized species of African land mammal.